Good. Buy with confidence! Comes with our 100% money back guarantee! ! Tracking included with every order! ! ! The dust jacket shows normal wear and tear. The dust jacket has stickers or sticker residue on it. The cover shows normal wear and tear....The pages are nice and crisp! Ex-library book. The item is fairly worn but continues to work perfectly. Signs of wear can include aesthetic issues such as scratches, dents, and worn corners. All pages and the cover are intact, but the dust cover may be missing. Pages may include limited notes and highlighting, but the text is not obscured or unreadable. Very Good. Very Good Dust Jacket. 4to-over 9¾"-12" tall. CLEAN very good 2000 Revised and Updated hard cover with very good dust jacket. 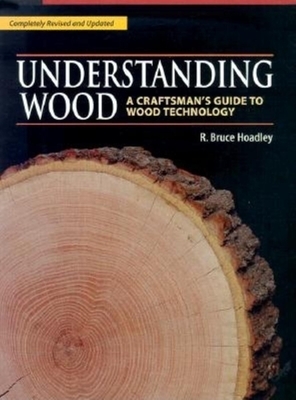 this book is rather on the tech side and not as much the practical woodworking aspects as I had hoped for, but overall it has a lot of information.